Every 5th Sunday in a month we make a big deal of our children. On September 30 we give the OASIS teachers a break and the Kindergarten-4th grade children stay in the Worship Area the entire service. OASIS students worship with their parents and have a Children’s message from Pastor Matt geared directly for them. Also, there are “Busy Bags” available with crayons, paper and a Children’s bulletin. Next book club meeting will be on Wednesday October 17 at 6:30PM at the Glenside Pub. 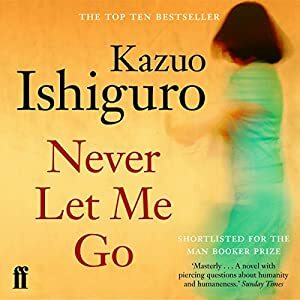 We will be reading “Never Let Me Go” by Kazua Ishiguro. See You At The Pole — Sep 26. Check with your school when students will gather around the flag pole to pray for the teachers, administration, and students. Pray for your school! Oct 3, Women’s Bible Study, 10:30AM in Fireside Room. Oct 17, Book Club Meeting at the Pita Place. Please remember, each of these prayer requests are a person, a family, a cry of a person’s heart. Some requests do not have names attached because the situation calls for confidentiality. God knows the names and their needs. Thanks for keeping this in mind. Pray for the students in the Youth Ministry. Pray for families trying to work together as a family. Pray for those feeling the effects of Hurricane Florence. Pray for a great school year for our students. Pray for conflicts among friends to be worked out and peace to return. Pray for a great start for the small groups starting up this fall. Pray for effective leadership training accessible by those in remote areas. Pray for more leaders to disciple new believers in culturally appropriate ways. Pray for liberation from shamanistic and occult practices through Jesus Christ.